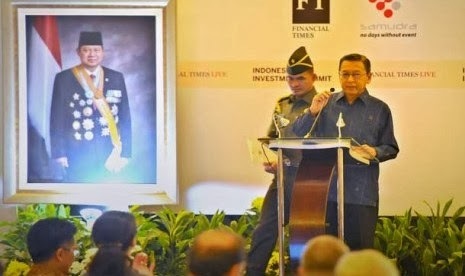 Pidato Wakil Presiden Boediono dalam ajang Indonesia Investment Summit 2013, Kamis (7/11) memicu kontroversi. Pidato itu ternyata memiliki mirip dengan pidato Wapres di ajang yang sama tahun lalu. Apakah pidatonya copy paste? It is my great pleasure to welcome you all to Jakarta. I would like to congratulate BKPM - the Investment Coordinating Board - and the International Herald Tribune for organizing this very important gathering. The main purpose of this two-day gathering is to share among the participants the most accurate, up-to-date and first-hand information about this country. It is my great pleasure to welcome you all to Jakarta. I would like to congratulate BKPM - the Investment Coordinating Board - and the Financial Times for organizing this very important gathering. As was the case last year, the main purpose of this one-day gathering is to share among the participants the most accurate, up-to-date and first-hand information about this country. First, we went through the 2008 global crisis basically unscathed. Yes, there was some dent in our growth but we then quickly and strongly recovered. And again in the mid of the current ongoing crisis we have been able to maintain our growth at 6+% while sustaining the steady decline in our unemployment and poverty rates. We are blessed with vast and varied natural resources and formidable human resources. Our domestic markets are substantial and are growing fast, thanks to the blossoming of our middle class. The age structure of our population is young, opening the potential for reaping significant demographic dividends in the years to come. But Indonesia is prospective for some other important reasons. We are blessed with vast and varied natural resources. Our domestic markets are large and growing fairly fast, thanks to the blossoming of our middle class and consuming groups. The age structure of our population is young, opening the significant potential for reaping demographic dividends in the years to come. I must add one more reason why you ought to seriously consider Indonesia as your investment destination, and it has an important long run implication, namely our political stability. Despite numerous initial hurdles, our Reformasi has succeeded in placing and keeping our democracy on the right track. Our democracy is robust and it has so far underpinned the generally peaceful implementation of so many elections and the smooth process of changes in government, both at the national and regional levels. I believe it is precisely because our democracy works that many corrupt practices have recently been uncovered and are being vigorously prosecuted. I must add one more reason why you ought to seriously consider Indonesia as your investment destination, and it has an important long run implication, namely political stability. Despite many initial hurdles, our Reformasi has succeeded in placing our democracy on the right track. Our robust democracy has underpinned the generally peaceful implementation of so many elections and the smooth process of changes in governments, both at the national and regional levels. I believe it is because our democracy works that many corrupt practices recently uncovered and prosecuted. But of course Indonesia is not a country without problems, and some of them need urgent solutions. The most glaring one is deficiency in infrastructures. We must be honest and admit that, for a combination of reasons, we are behind in developing our infrastructures, virtually all kinds of infrastructures. But in the past few years we have been working hard to offset these problems. But I readily admit that we have outstanding problems, and some of them need urgent solutions. The most glaring one is deficiency in infrastructures. We honestly admit that, for a number of reasons, we are behind in infrastructure development, in virtually all sorts of infrastructure. But in the past few years we have been working hard to do the catching up. In the next two years, a number of important projects such as ports, airports, roads, railways, power, urban facilities, renewable energies and gas infrastructures will be completed and ready for operation. Many more projects are being prepared. We cordially invite and welcome your participation. The second group of problems pertains to regulations and legal certainty, including inconsistent and overlapping policies and regulations at the central and local levels. I am fully aware that there are still complaints among business community here about these matters. I cannot deal on these problems in detail here, but I hope you will discuss them in the appropriate sessions with our Ministers. I can only assure you that the government remains fully committed to systematically improve the business and investment environment in this country. The second group of problems relate to regulations and legal certainty. I am fully aware that there are still complaints among business community here about these issues. I hope in some of the sessions you get a brief on the progress in this area. I can only assure you that the government is fully committed to continue improving the business and investment environment in this country. Let me close my remark with some comments on the issue of human resources. First, you may notice that lately there has been an increasingly assertive labor movement to demand better pay and work conditions. I think we must accept it as a product of our democratization process, and as such we all should respect it accordingly. Let me close my remark with some comments on the issue of human resources. First, lately there has been increasing activity of workers to demand better pay and work conditions. I think peaceful demonstrations and even strikes must be accepted as part of our democracy at work. Another issue related to human resources is training. Adequate pool of labor with appropriate skills is key to growth and it will become a serious bottleneck in the years to come, and even sooner if we do not start dealing with it now. We are currently reviewing all of our training programs and are seeking closer cooperation with the private sector in order to anticipate this impending problem. The government is open to suggestions and welcomes cooperation from the business community on this matter. Another issue related to human resources is training. The government is fully aware that shortage of labor with appropriate skills will become a serious bottleneck in the years to come, if we do not do something now. The government very much welcome suggestions from the business community on how to jointly anticipate this problem. 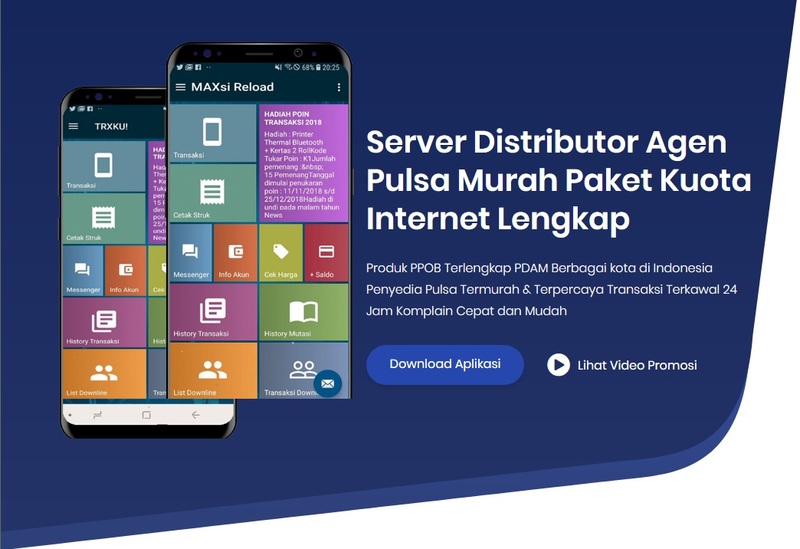 kirain indonesia ga punya wakil presiden.. ga pernah keliatan sih...pas pidato sepertinya copy paste lg..
baru 1tahun lebih udah nampak gebrakan beliau..
selama14 tahun ini ngapain aja sich wapres kita, dan harus kuakui dan tak bisa kuingkari berdasarkan fakta dan kenyataanya, inilah wakil presiden RI yang paling tidak berpengaruh sepanjang sejarah republik indonesia. masa harus copy paste sih?..